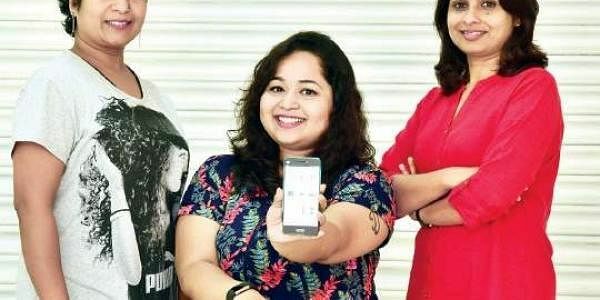 Three Malayali women talk about their app, Ilove9months, that guides women through their pregnancy period. KOCHI: Want to know how healthily your pregnancy is progressing? Or suddenly worried that your baby bump looks too small even when you are eight months well into your pregnancy? ‘Ilove9months’, a pre-natal and post-natal app, is a possible solution to dissuade you from fearing those months and help you lead a contented and peaceful pregnancy. The app, founded by three Malayalee women based in Bangalore, was born from the idea that not many pregnant women had easy access to fitness tips, birthing classes and a ‘constant companion’, not to mention expert advice even in the middle of the night. According to Ganga, a prenatal fitness expert, pregnant women would call her every day asking for tips. “Over the past four to five years, pregnant women have become more and more conscious of keeping fit and remaining healthy during this phase. Even husbands are becoming more involved in the birthing process. But even today, accessibility to such classes remains difficult. This is where ‘Ilove9months’ proves useful,” says Ganga. The app will connect the expecting and new mothers to hospitals, lamaze classes and lactation experts across the length and breadth of the country. Another feature of the app is that it will connect the women to ‘Sahodaris’, who are companions to these women during the birthing process, adds Ganga. Lactation expert and co-founder of the app, Anjali says that with the rising number of nuclear families in the country, support system for expecting mothers are quite low, especially in metros. “This is where the concept of Sahodaris come in useful. If you want someone to stay with you during the entire labour period (for example 72 hours), you can ask for a person. She will be trained to comfort you through constant massages, helping you walk around to speed up your labour process, and giving you advise on how to hold on,” adds Anjali. The women can avail of the companions during the pre-natal and even post-natal period. These Sahodaris will be trained in giving tips to handle the new borns, the kind of exercises they can be given and for the mother’s needs. They will also be taught to watch out for any unusual development patterns in the infants. Suma Ajith, Ganga’s sister, quit her job in Australia as a speech pathologist to co-found the app. According to her, it was the awareness that many children in India were not being diagnosed early for development issues, that made her want to come back to her home state and ensure that enough is being done to help the new mothers. Those who have cravings can also log on to the app, as recipes (both international and local cuisine) are available for the expecting moms. “Why make your pregnancy period dull? Have some fun,” quips Anjali. The app is available on the Google Play store, and the packages are available at Rs 999.